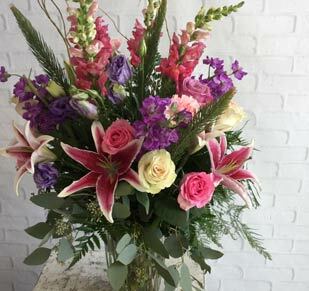 Send uplifting thoughts and comfort when you send fresh flowers in Fredericksburg, VA. Browse our heartfelt selection online or call us at (540) 371-0743. There are many occasions in life where sending sympathy flowers are appropriate. 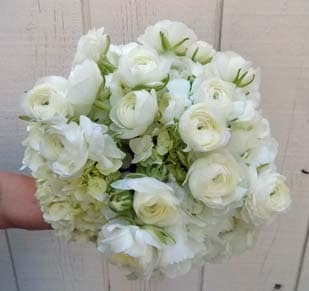 In the event of a death or illness, find the right sentiment with market-fresh flowers from Thompson’s - Westwood Florist. 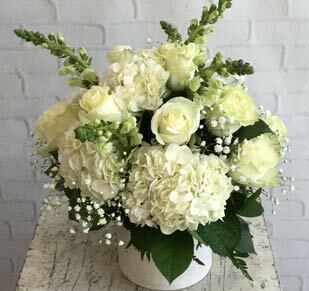 For over 70 years, Fredericksburg has depended on our high-quality flowers and exceptional service to assist them through these sad moments in life. 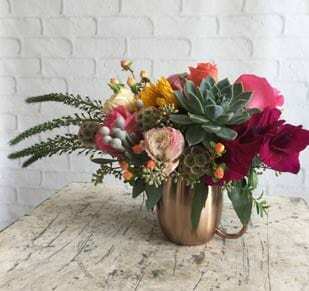 Thoughtful blooms have a special healing power that comforts those who need it most. Send meaningful floral wreaths, sprays, or planters and rest assured that it brings joy to an otherwise difficult time in the recipient’s life. For a funeral service, our flowers are delivered to local funeral homes or churches upon request. Same-day delivery is now available in Fredericksburg, Stafford County, King George, Locust Grove, Snell, Falmouth, & Spotsylvania, Virginia.